Dog boarding, training and grooming in Kyle Texas. We offer dog boarding services where guests can play during the day while sleeping comfortably at night. Each boarding guest has a private kennel that is cozy, clean and climate-controlled. For years our boarding clients have asked us to provide dog training services. Click Here to find out more about our dog training services for your dog! Training can be a game changer! 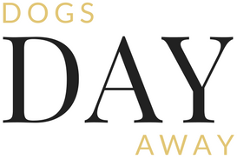 At Dogs Day Away we plan each day to ensure that we deliver the highest quality fun to every dog in our care. We strive to take care of your dog as we take care of our own. We recognize that staying away from home can be a strain on our beloved pets, and can cause stress and worry for their parents. It is our goal to make your dog feel “at home” and provide the finest care possible. For many, leaving a dog in someone else’s care is like leaving a child, and we at Dogs Day Away understand this and take that responsibility very seriously. All guests must also provide proof of current vaccinations including Rabies, DHPP, and Bordetella. This is to ensure the safety of all guests. Proudly serving the Kyle, San Marcos, Buda, and Austin areas.